~ One length of 4.8mm diameter tube and one length of 1.5 x 3.2mm strip. I buy these from a model train shop who sell them individually instead of in packs. They're around 20 pence each. 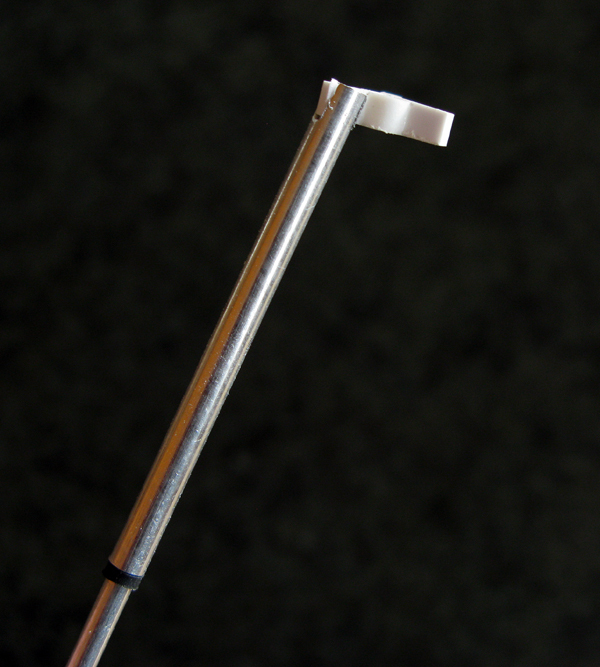 ~ One length each of 1mm, 2mm and 3mm aluminium tubing from Albion Alloys. Again, the model shops sell them individually and they cost pennies. All of the metal tubes are telescopic in that each piece fits exactly into the next size up. 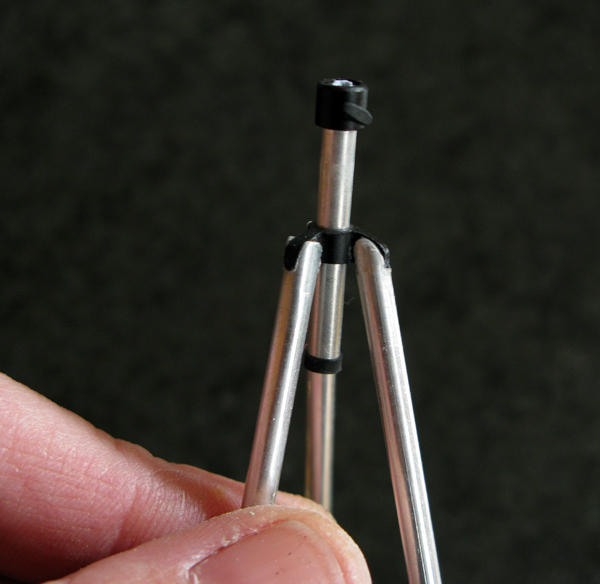 This is perfect for making legs for tripods/telescopes etc. 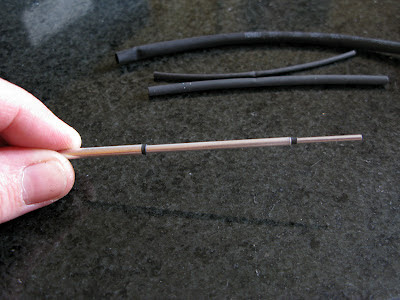 ~ Some matt black spray paint, superglue, a flat jewelers file and a selection of heat shrink tube. So if I wanted the height of the tripod (A) to be four feet (4 inches) and the width that the leg stands from the centre (B) as one foot (1 inch), it would make the angle (? ), which is the length of the leg ~ 4.12 inches. 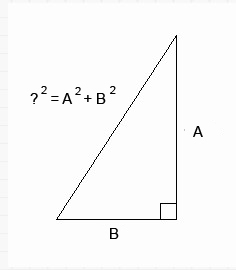 Here's an online pythagoras calculator if you need help. I always cut metal tube with a craft saw. Metal will blunt the teeth in a saw over time so don't use the best you have. I draw the saw blade backwards (towards you) over the tube until it's broken the surface. I then gently bend the tube which will 'snap' at the saw mark. 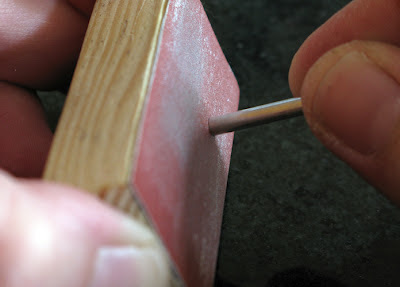 Use a fine sandpaper to clean up the edge. 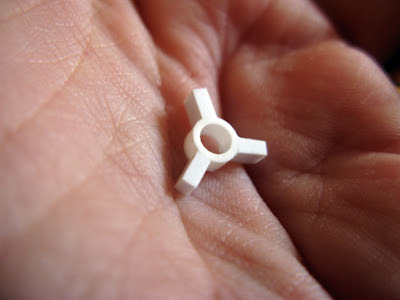 Use the tiniest, and I mean TINIEST amount of superglue to glue each section of the legs together. Less is definitely more when it comes to superglue. If you use too much, as you slide the sections of the leg down, the glue will pool at one end and inevitably find your fingers. 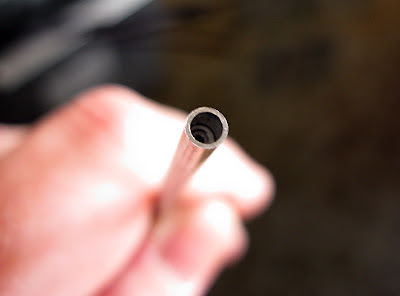 Take the 1mm tube first, dot a tiny amount of glue near one end and slide the 2mm section down over it until there is 20mm of tube sticking out. Next, dot a tiny amount near the end of the 2mm tube and slide the 3mm tube over it until you have 43mm sticking out. This is what you should end up with. 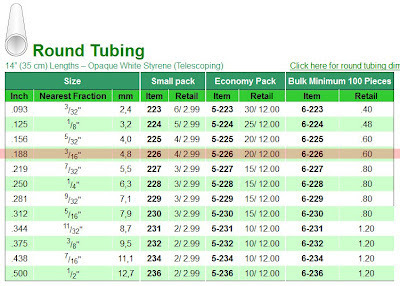 You will notice that at the 'fattest' end, the smaller tubes do not go right to the end. This is on purpose because we will be filing a bracket into the end to hold the camera mount. 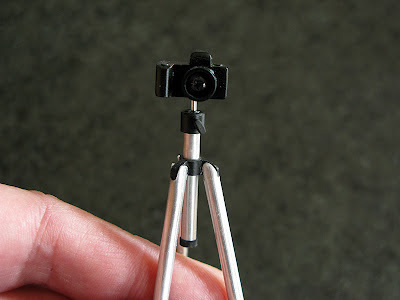 I used slices of heat shrink to mimic the brackets at each leg section of the tripod. Alternatively, you can use paint (if you have a steady hand), or coloured tape. 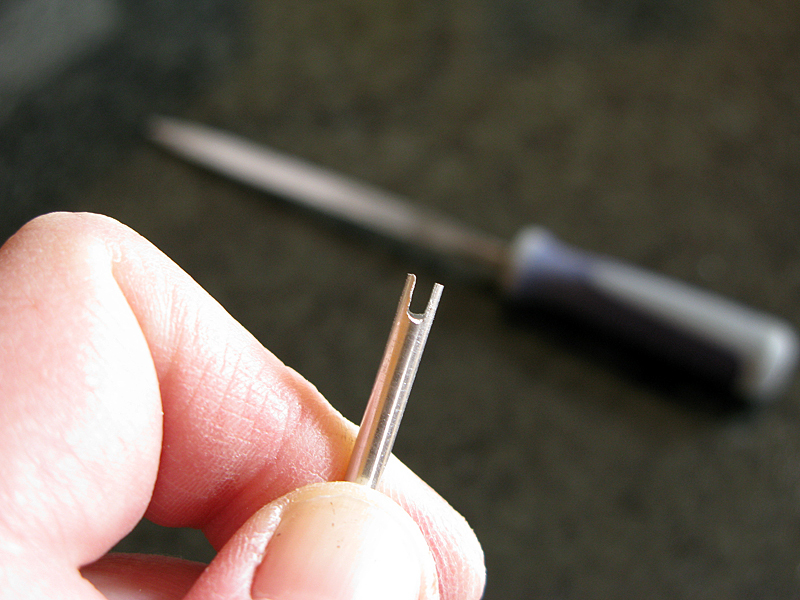 Use the edge of a flat jewelers file to cut a channel down into the end of the 3mm aluminium tube, until you reach the smaller tubes inside. Take your time with it. The tendency is to file away in both directions and you end up with wobbly edges. Cut 3mm from the end of the 4.8mm diameter plastic tube. Use fine sand paper to clean up the edges. Cut three pieces from the 1.5mm x 3.2mm plastic strip. 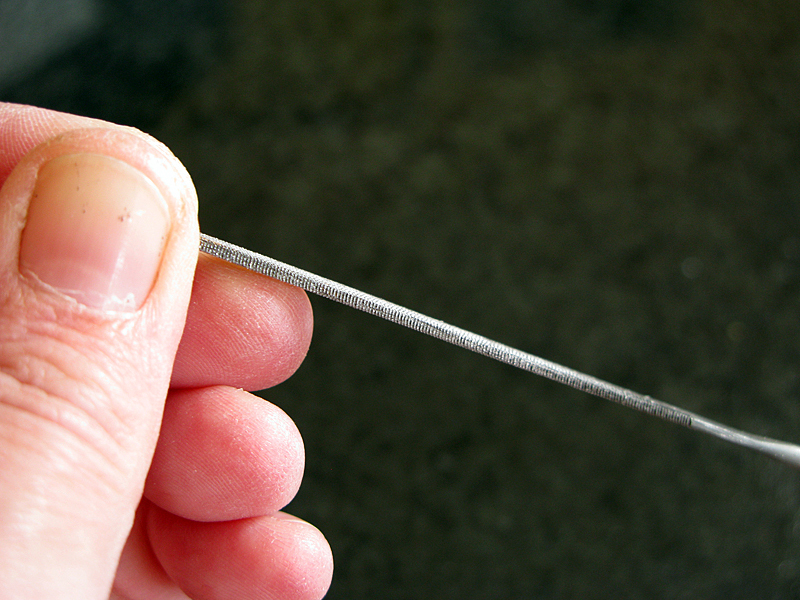 Make this slightly longer than 3mm so you have something to hold onto. 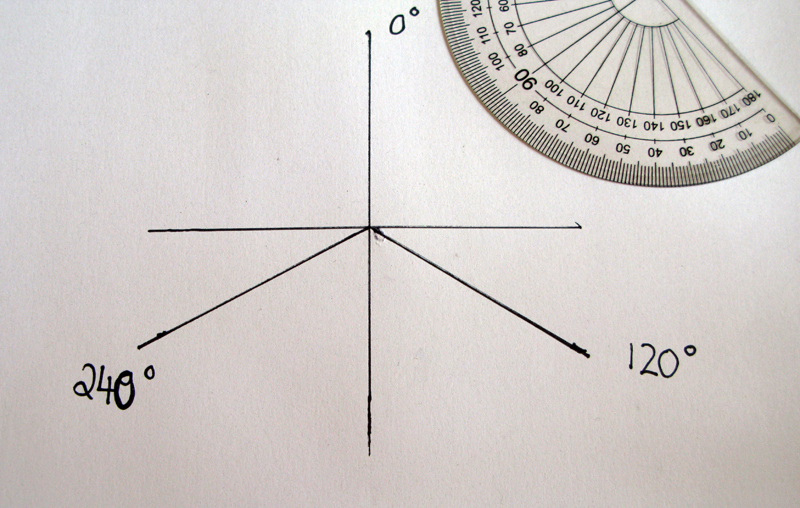 I glued the strip (vertically and on the narrowest edge), to the tube at 120° intervals: 120° being equal thirds around the diameter of a circle. 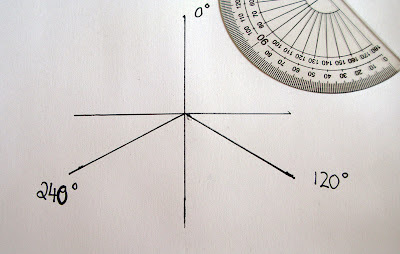 Easy way to establish this...draw it out on a piece of paper with a protractor and then mark on the tube where the strip needs to be glued. You'll need to clean the top and bottom of the bracket with sandpaper so that everything is flush. If you want to paint the bracket, do it before you glue the legs in place. 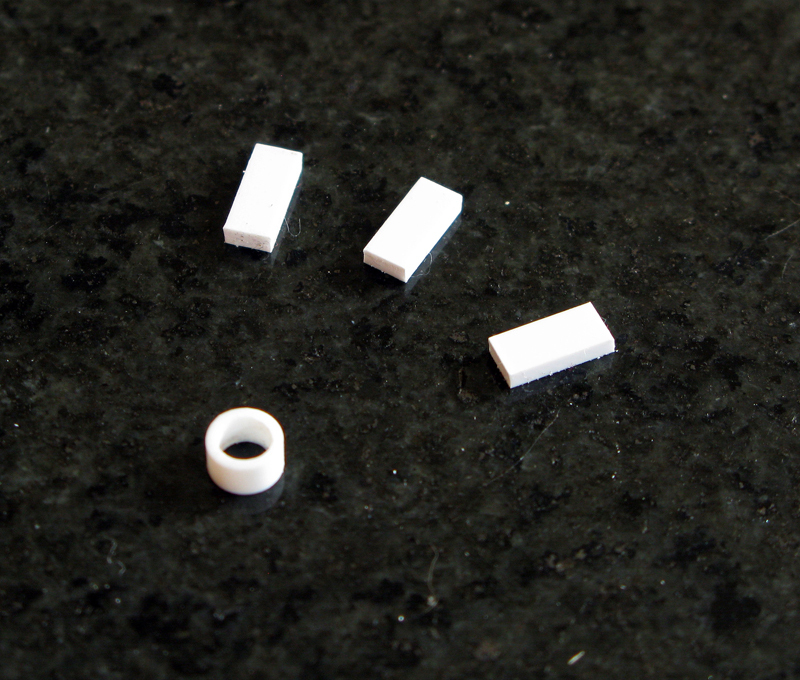 and as if by magic or design, the bracket fits exactly into the grooves you filed into the legs. They can now be glued into place. Now Neen had this really cool idea to use the tripod as a lamp base or similar so the last part of the tutorial depends on what you'll use it for. For me, it is a camera tripod. So I cut a further 1 inch piece of 3mm aluminium tubing for a camera mount. The aluminium slots nice and snug into the bracket. I cut another slice of 4.8mm diameter plastic to sit on the top and some heat shrink at the bottom so the camera mount can slide up and down and not fall out. Muchas gracias por compartir, te ha quedado fantastico. Nice concise tutorial and good photos. 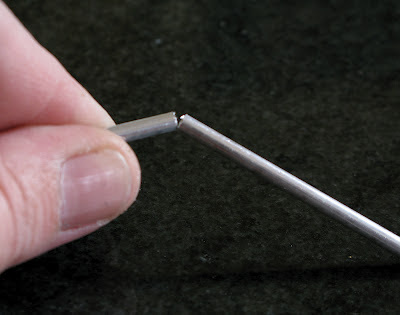 Rather than using a saw to score the metal tubing sometime try using a #11 knife blade. You roll the tubing back and forth with pressure on the knife blade using the handle of course. It works very nicely once you practice a time or two and makes clean break lines. In fact you can score all the way right though the tube with the knife roll trick. Works on plastic tubes too! Karin, you're a star. I tried your tip and it works perfectly. This is why I love blogging so much ~ I never stop learning. Very clever, thanks for all the tips!!! Cosa non darei per potermi svegliare un giorno ed avere questo tipo di capacità....fantastica!!! Pepper, this is GREAT! Yet another fabulous tutorial of yours that is added to my list of things to make. :) Awesome. Thank you for taking the time to figure this out and the document and share it with all of us. Your work is always so clean and perfect! I'm so jealous. You're amazing! Wonderful! Thank you, great tutorial (as usual)! Hi Carol, you are very generous in sharing, so thanks again for this tutorial. I would like to give you the tip of Karin, I knew that about the cutting of the tubes too, but I was too late. Also my comment is ;)I am sorry but I am very busy with my unfinished project. Very professional! Thank you for your presentation! oh oh oooh! WAY cool! I just wanted to mention if you're in the U.S. and can't find 1mm, 2mm and 3mm tubing, I was able to locate 1/16", 3/32" and 1/8" aluminum tubing from K&S. The three sizes telescope easily and can be found in most hobby stores. :] I can't wait to give this a try! BRILLIANT! Such a great tutorial!! !